We combine a campaign template, it's design, targeting rules, and availability into what we call a campaign. You can create multiple campaigns each targeted to different pages or websites and view statistics on how each is performing. You can also pause or enable each campaign from the view below (say if you have a holiday campaign, or are split testing multiple overlays on your site). 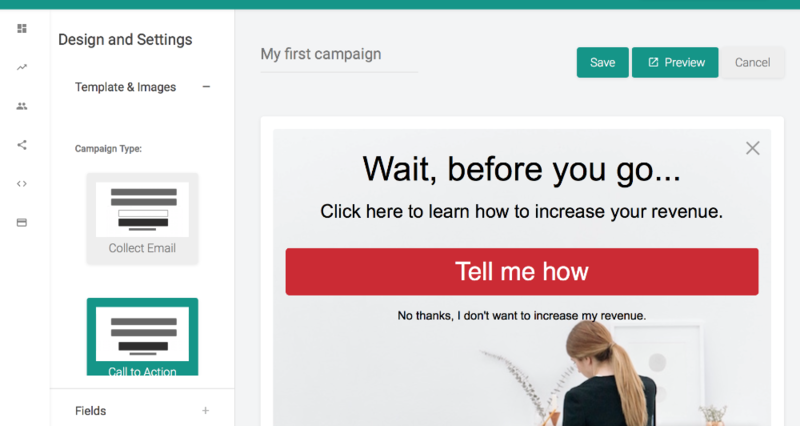 When you click to edit a campaign, you can customize everything related to the campaign including which template you choose, the text, colors, background, images, and targeting rules. It's best to test multiple versions of your campaign on your site to see which has the highest conversion rate. This A/B testing is invaluable in optimizing your website for lead generation.